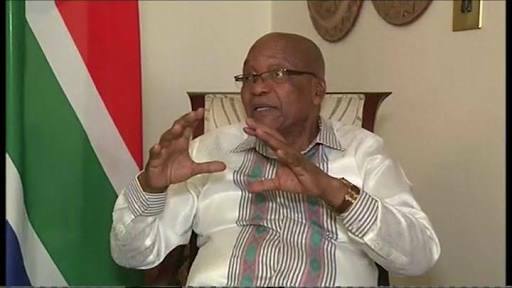 South Africa's embattled President Jacob Zuma says he has done nothing wrong and sees no reason to stand down. Mr Zuma spoke after the ruling African National Congress (ANC) gave him an ultimatum to resign by the end of the day or face a parliamentary vote of no confidence on Thursday. The 75-year-old has come under increasing pressure to resign amid numerous allegations of corruption. But he said the ANC had failed to explain why he had been recalled. In a lengthy, unannounced, interview with national broadcaster SABC, Mr Zuma made no reference to the early morning police raids and arrests at the home of his close associates, the wealthy, Indian-born Gupta family. The Guptas have been accused of using their close friendship with the president to wield enormous political influence. Both parties deny all allegations of wrongdoing. Mr Zuma stressed that he was not defying the ANC but he disagreed with its decision to ask him to resign. "It was very unfair to me that this issue is raised," he said. "Nobody has ever provided the reasons. Nobody is saying what I have done." Mr Zuma's decision to cling on to power has put him at odds with South Africa's deputy president Cyril Ramaphosa, the ANC's new leader and his expected successor.